[prMac.com] San Francisco, California - In 2006 Bay Area sculptor Adam Reeder announced his creation of sculptures combining Greek Gods and iPods. The bronze editions were extremely limited. The price of the sculptures made them impossible for hordes of Mac fans and iPod lovers. Adam finally created two 7 inch bronzes to add to the body of work. 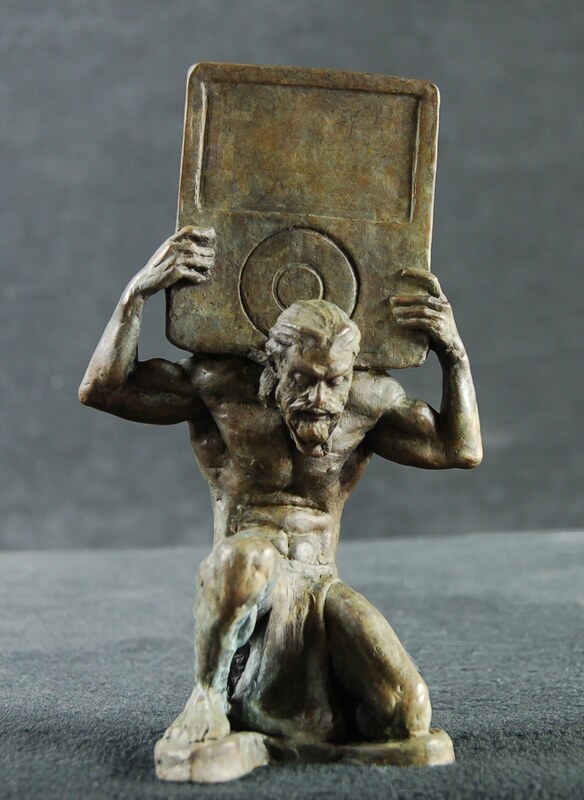 The two new bronzes depict Pan dancing and singing to his iPod, and Atlas holding up a giant iPod. 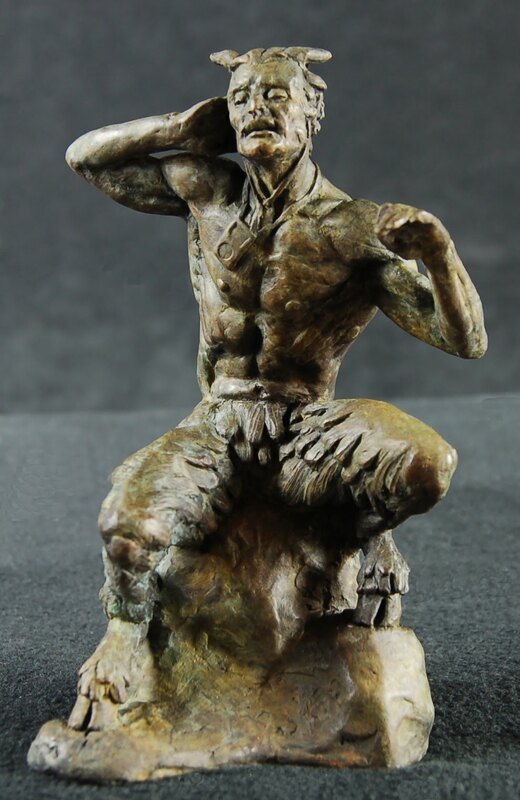 Both bronzes are variations of previously popular sculptures. Adam's goal was to make sculptures the average Mac lover can purchase (or one could be purchased for said Mac lover). Adam attributes his success to the masses of Mac fans and tech folk who understood Adam's work. He claims these new bronzes are more indicative of what the body of work is about. Adam said "The body of work is about the fact that iPods, iPhones and iPads, have changed the way we interact with our world. This technology is also ubiquitous. The iPod is a recognizable symbol which will resonate for a generation, like the Super Mario Bro music resonates with my generation. The 7 inch height makes them perfect for a desk or mantle. It is also priced to be more available to us average tech loving greater geeks. If art truly does reflect culture, good or bad, these sculptures say a lot. Adam Reeder Studios began in 2000. Adam graduated from The Academy of Art University with an MFA in sculpture. He has been gaining international recognition from various sources, from art critics, galleries and art dealers all over the globe. Adam has upcoming shows for 2010 in Los Angeles, New York, London, San Francisco and many other locations. Copyright (C) 2011 Adam Reeder Studios. All Rights Reserved. Apple, the Apple logo, iPhone, iPod and iPad are registered trademarks of Apple Inc. in the U.S. and/or other countries.